Flash back a few decades. Without realizing it, I have chosen an authoritarian (old white male) obstetrician to see me through my first pregnancy and deliver my son. I am very young and new to this business of Ob/Gyn oversight, not to mention marriage and pregnancy. Alone, no friends in San Francisco. No birth centers, a sense of participating, surrounded by family. No, the kindly doctor took over with a paternalistic pat on the head and other parts. Fortunately, it was an easy birth and my son was born beautiful with a full head of blond hair. So, then I asked for birth control pills. “No, you will have to get them somewhere else,” he said. “I don’t prescribe them.” The good old doc was Catholic. The somewhere else I went was Planned Parenthood. 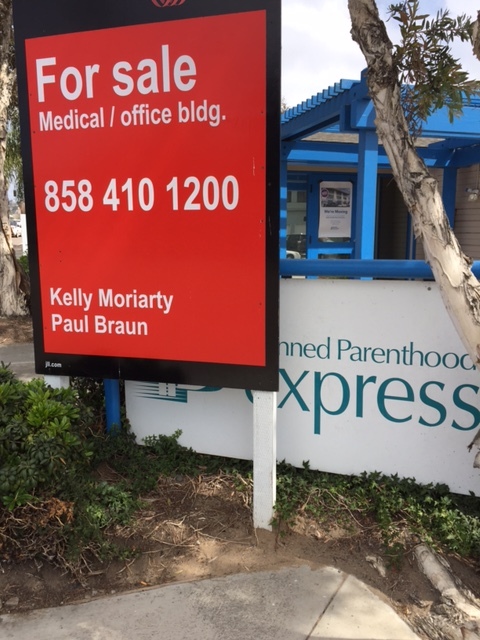 Visiting my parents in the beach area of Los Angeles, I took the bus 20 miles into downtown LA, to the closest Planned Parenthood. My memory is smoggily vague. Did I have my son with me or did I leave him with my parents? Did I have an appointment? Did I wait long? I just remember lying in a greenish space with curtains and a strange (young) man coming in and examining me and okaying the pills. Did I get them there or go to a drugstore? I know I was relieved as I rode the bus home. And within months my husband and I had moved to San Diego and I had a new, younger male doctor named Dr. Rights. And birth control for two to three years until I got pregnant with my second son. Flash forward, recent years. A young woman I know is a student. No money. She goes for a checkup at Planned Parenthood and they discover cervical cancer. She undergoes treatment and is doing okay. I walk by our neighborhood Planned Parenthood. It is closed! Oh no. But I see it has moved to another location two miles away. Not far. And the new center looks larger. That gives me hope. Government funding may be wavering, but the spirit of the organization is strong, determined, not about to give up after 101 years. Helping women who are between doctors or jobs, without resources. What would I or my friend have done without them? I could have found another doctor, maybe gone to my mother’s, but the delay might have meant an unwanted pregnancy. My friend with cancer may have been able to borrow money, but if not, she would not be alive today. The conservatives are big on people taking personal responsibility. Planned Parenthood is big on teaching women how to do this with birth control, family planning, health care. So why the gap in logic and compassion? Many religious conservatives are against abortion services offered by Planned Parenthood, even though it is legal in this country. And even though family planning education will reduce abortions, the Planned Parenthood foes would rather shutter all the clinics and kick poor women out onto the sidewalk than continue to support the organization. This would be like me, a vegetarian, refusing to help a food bank or soup kitchen because they distribute or serve meat. Just because I am personally opposed to eating animals, I don’t think I have the right to impose my viewpoint on others. 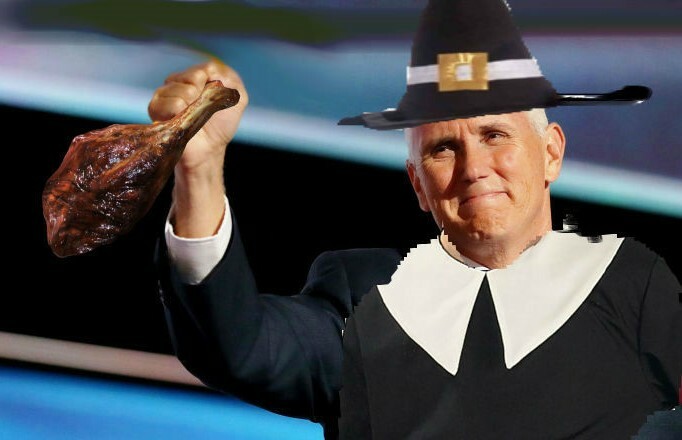 Vice President Pence the Pilgrim may criticize Muslim sharia law, but he’d be the first in line to brand and stockade a woman with a mind and body of her own if he could get away with it. In his worldview, he cannot even have dinner alone with women. He is more comfortable sitting around a conference table with other old (mostly white) men deciding that women are their vessels and not separate people with rights. If their wives are okay living that way, that is one thing. But most of us have outgrown the stranglehold of authoritarianism and will resist its being forced on us. By now, my San Francisco doctor is long dead and Dr. Rights, closer to my age, died two years ago. That means the younger generation, with less restrictive beliefs, are moving into government and medicine and other areas where they can make a difference. Like Planned Parenthood. And, yes, healthcare for all. Let’s hope they move quickly, with agility and honesty, leaving the tyrannical T-Rexes in the dust. Oh for sure … ! Previous Previous post: Where Is My White Blouse?